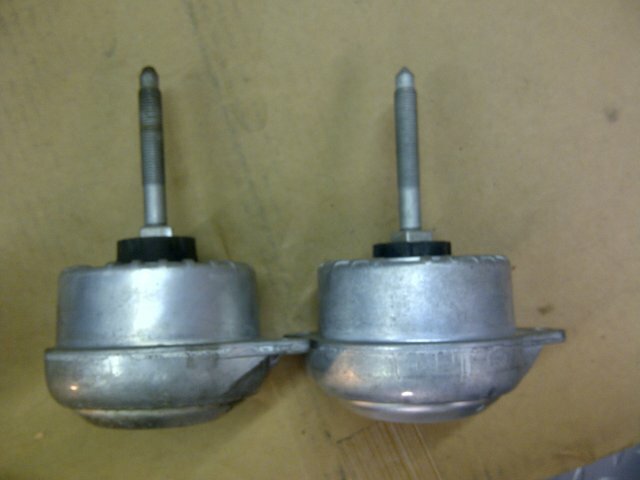 911uk.com - Porsche Forum : View topic - Just replaced my engine mounts- WOW! 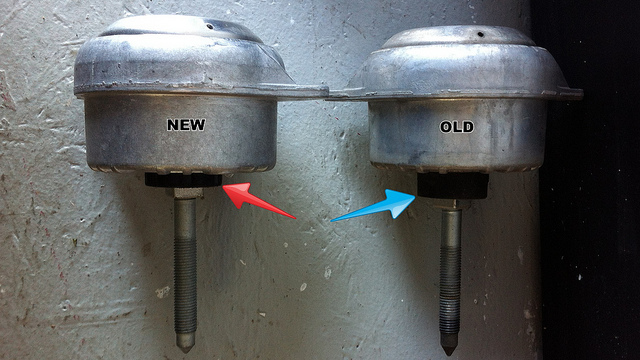 911uk.com Forum Index > 996 (1997 - 2005) > Just replaced my engine mounts- WOW! Posted: Sun Nov 04, 2018 8:56 pm Post subject: Just replaced my engine mounts- WOW! So further to replacing all of my suspension links - which made a huge difference to the car - I have just replaced the 2 engine mounts (Rein mounts from pelican parts which are reboxed OE mounts). Simple job compared to the suspension links that’s for sure! The difference in the car is incredible. I had read posts on here from others that had replaced theirs, but didn’t appreciate what they said about improved handling until I drove mine just now. It is like a different car. Only now do I realize how sloppy it was. The engine is now semi rigid in the car, moves with the car, not against it. Gear changes under hard acceleration are so much smoother - the car doesn’t lurch when the clutch is disengaged. My passenger seat doesn’t shake anymore either! Highly recommend doing this to anyone who hasn’t changed them. I am delighted with the results. Between the new suspension and engine mounts, the car is finally fantastic! Posted: Mon Nov 05, 2018 7:26 am Post subject: Re: Just replaced my engine mounts- WOW! Between the new suspension and engine mounts, the car is finally fantastic! 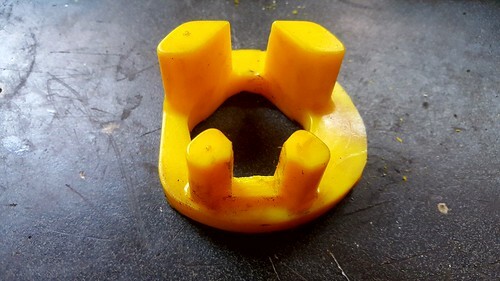 Have you done your gearbox mount? ............that's the final stage to make it fantastic. 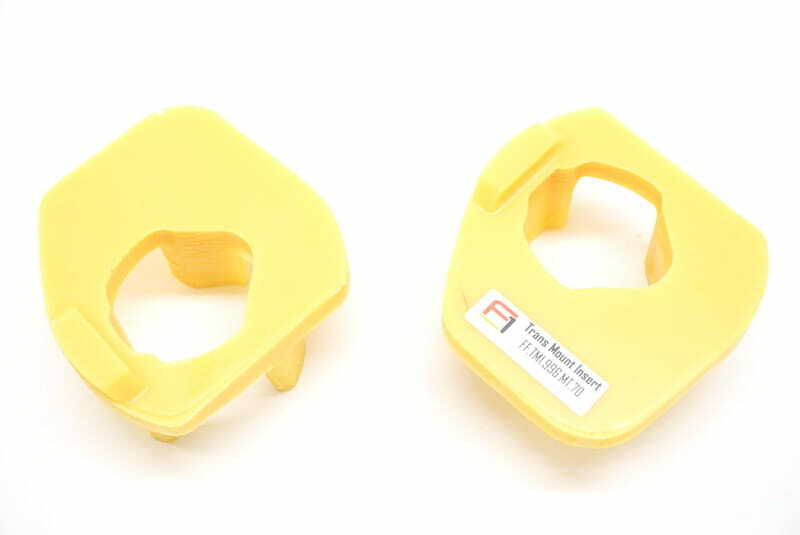 Powerflex inserts are only £30 and take about an hour to fit. They've modified them now to remove the NVH issue. Stick one of those in for now but I'd suggest putting a new bush in next time your gearbox is off. Yes rear engine mounts make a massive difference! Also a 997 shifter mech is a great cheap upgrade to the shift. I read this thread thinking it was what I needed but now I'm not sure. I've also replaced all my suspension but do have a slightly sloppy shift as well as a very slight knock on acceleration as well as when I come off the gas. I had a new clutch less than six months ago and have also fitted a 997 shifter so I'm pretty sure it's not related to those. The thing is I've just been under the car and I can't get the engine to move at all which I expected to be able to do if the mounts were shagged. Car is on £125k and not sure if they've been done before. Hard to tell with the exhaust tips as I set them when I replaced the exhausts last year. What do people think? I've ordeded a gear box mount insert as well just so that everything is done. Grab hold of both exhaust manifolds whilst under the car. Push up on one and pull down on the other and vice-versa. See if there is 'rock'. Also, go to the front end of your gearbox (you'll need to remove an undertray and see if you can movev the gearbox up and down at the front. The front gearbox insert is naff and sags. Personally I'd never fit a new one but would prefer the powerflex insert as it removes the 'air pockets'. Just change them. With 125k on them you can expect them to be toast. I have never seen a post where someone removed one and it was Still working. This is something i often report on services but so few owners bother to replace them. I have to admit i would struggle with the wiggle method ( im not big you know ). I tend to look upwards at the mount and can see its dropped . I did a search for pictures to try and show it but obviously its not easy to do an upshot let alone find one so the below will give you some idea of what to look for. Rule of thumb .. if no history in 10 years to say they have been replaced then i would recomend it . Thanks all, using deMorts tip I think it's safe to say they're knackered, I can see about a 25mm drop! I had a weird "clunk" on/off the power after I'd done my clutch. I was paranoid the flywheel bolts had come loose. In the end it turned out to be the brace bar that runs across the car under the gearbox, this had corrosion trapped on mounting face, I cleaned it up and re torqued the bolts, no more nasty clunk. My 996 turbo was on around 29k miles when I changed to RSS mounts. I got them cheap and wasn't expecting much change. I was pleasantly suprised. The idle chatter from rhe LWFW completely went and it just felt a bit tighter. 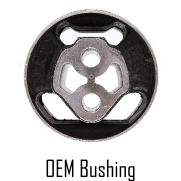 I'd definitely recommend the standard new bush for the gearbox. A lemforder one can be bought for £16. Those powerflex things are bloody awful but we all like different things. If you like your interior buzzing like something from Ann Summers then go for it. Any coins almost try and make a bid for freedom from the ash tray. And if you don't have any gearbox whine now, you will once you get those insert things. Some say "because race car". I say "because dog turd". They overly prop up an old standard bush. Just get a nice new bush as porsche intended and that's perfect. Stiff mounts are great on track cars. Daft on road cars. Like I say though we all have a different end goal for our cars. Mine is a 100% road car, being as sharp as it can be, whilst feeling as close as possible to a brand new factory fresh one. That was the original ones Mark. Both infrasilver & I trimmed ours down and there's no different NVH than the saggy bush I originally had. Powerflex have since redesigned there's after they read us two had an issue with the vibration. Yeah I know they're better now but I just can't get away with them. Powerflex revised (sent out for free thanks to you consulting with P-flex). The later ones are better but his car is still awful on the overrun. The whole thing buzzes like crazy. He's getting them removed during the cars service in the spring. Don't get me wrong I've run track cars with semi-solid and solid engine and box mounts but I just don't want that on a road car. The pros don't outweigh the cons for me. But like I say one man's buzzy horror story is another man's "just right". No right or wrong. I just always post a bit of balance. I must admit - Chris & I cut a lot more away on ours than the new design powerflex, to the point we left an air gap at the top. Maybe what we have is more in line with a new bush rather than powerflex's new design. I did try and tell them that at the time but it fell on deaf ears. Yes there must definitely still be a difference even between the revised ones and yours then. Craig's revised one is better than the first, but as I say, it's just a step too far for a car that will never see any track time.